Description: A nice wide mix of colors on these 'old fahioned' single Hollyhocks. 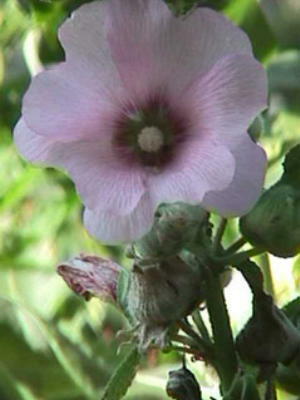 Flowers are 3-5 inches wide and are loved by humminbirds. Yellows, rose, white, and pinks are the colors that make up these tall classic Hollyhocks. Grow to 4-6 feet tall. Self sow. Tall and stately, they are shown off to best advantage in front of a wall or fence, or grouped to add height to the back of the border. Care: Keep soil moist but well drained.